Rose to fame almost immediately after the commencement, Bigg Boss Tamil and Bigg Boss Malayalam had a fantastic run this season. Too sad, both the language shows are arriving at their respective Grand Finales this Sunday. Tamil Bigg Boss is in its second season this year while in Malayalam this is the first. Both proved to be huge hits and grabbed amazing TRPs on the television keeping the respective hosting channels on the top every week. The shows became popular on the Social Media too. As this is the final week of Bigg Boss here are some points to help you enjoy the final a little better. Out of the 16 contestants that entered the house, only four contestants are left. With Balaji and Yashika Anand evicted from the house in the week prior to the finale, the contestants that entered the season 2 finale are Janani Iyer, Aishwarya Dutta, Vijayalakshmi Feroz, and Riythvika. It is laudable that all the contestants that entered the finale are women. The host of Bigg Boss Tamil, Kamal Haasan made the contestants campaign for themselves in the Sunday episode. While doing so, he remarked that it might be useful for him in the future too implying at his own Political intentions. 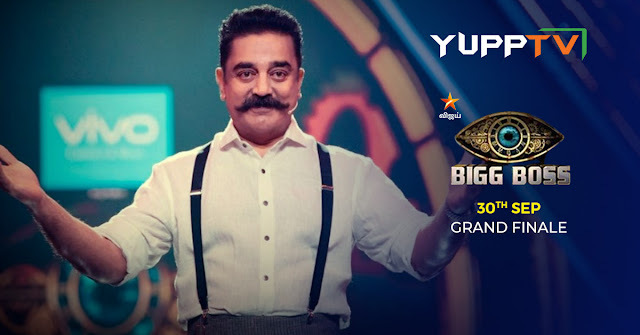 The Bigg Boss Tamil season 2 Grand Finale is going to be aired on 30th September 2018 and can be watched on Star Vijay Live on YuppTV from select regions. Contrary to the Tamil show, Bigg Boss Malayalam has 6 contestants out of the 16 in the final. The show which was being hosted by Mohanlal has garnered the love of Malayalis and has become a huge hit, so much that many fan groups for the contestants have formed on the social media websites. Contestants on the show were loved so much that when one of the contestants Archana Suseelan was evicted, the audience has become upset and took it upon themselves to bring her back to the show by beginning #bringback hashtag. While that has no chance of happening, the 6 contestants that are now left in the house and Sabumon Abdusamad, Aristo Suresh, Pearle Maaney, Aditi Rai, and Srinish Aravind have qualified for the finale. The winner of the show is going to win a Grand Prize Money of Rs 1 Crore and to find out who it is, Watch the Bigg Boss Malayalam Grand finale on YuppTV on 30th September 2018 on Asianet Live Channel.